basic rhythms, mastering the essential rudiments and learning your first drum settings. 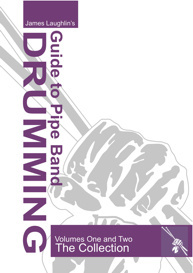 The book has been structured in a way that takes the student through a step-by-step process on learning to play the Scottish Snare drum. Each exercise has also been recorded to aid the learning process. 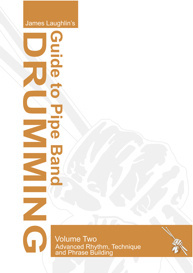 James Laughlins Guide to Pipe Band Drumming Volume 2 eBook with audio accompaniment is now here. 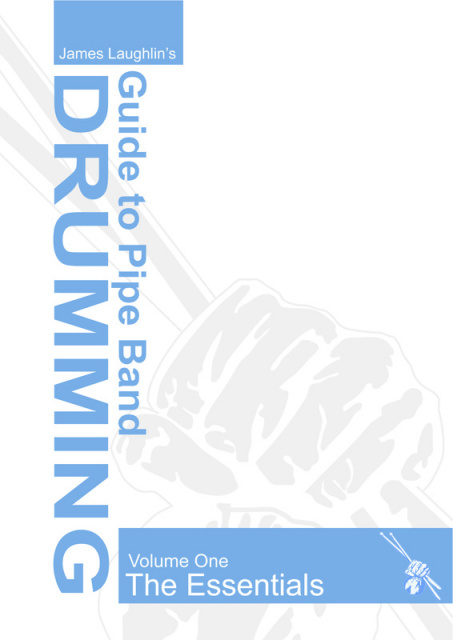 Many of you may already have a copy of the popular "Guide to Pipe Band Drumming Volume 1", where we focussed on the essential foundations of good drumming skills. Volume 2 is geared towards the more advanced drummer who wants to impove, develop and hone their drumming skills. The core of the book has been split into three primary sections - Rhythm, Phrasing & Technical Execution. Do you want to challenge yourself and take your drumming to the next level? Together, the book & audio tracks work as a powerful tool of self-improvement to help you discover the talent within. What are customers are saying about the eBooks?